Last month, we passed along some of the specs that put the max into the Xiaomi Mi Max 3. A new render showing what is allegedly the back of the Mi Max 3 has surfaced, and it reveals that the device will be equipped with a dual camera setup on back, along with a fingerprint scanner. 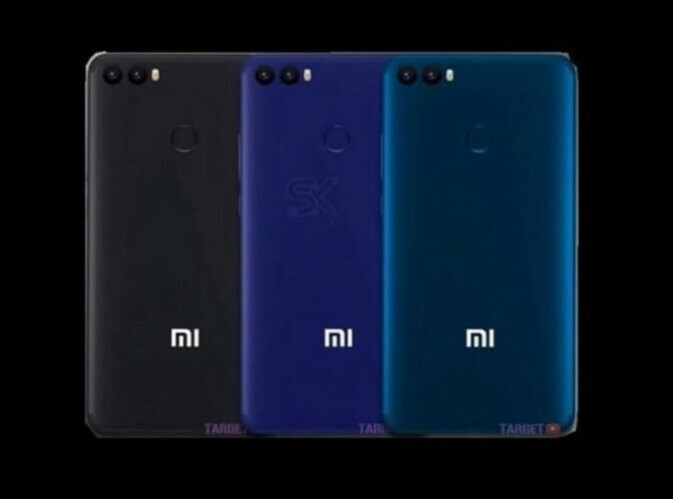 It also shows that the handset will be offered in three different colors including one black and two different shades of blue. The Mi Max 3 features a 7-inch full-screen display with an aspect ratio of 18:9. We could see a resolution of 1080 x 2160. The primary snapper on back is believed to weigh in at 12MP, and there will be a 5MP front-facing selfie camera. The most exciting thing about the Mi Max 3 is the 5500mAh battery expected to power the unit. The Snapdragon 635 SoC or the Snapdragon 660 chipset will be under the hood, and there will be two variants to the Mi Max 3. One will come with 3GB of RAM and 64GB of native storage. The second will feature 4GB of RAM and 128GB of native storage. The Xiaomi Mi Max 3 could be launched this coming June. The buzz around the water cooler suggests that it will be priced at the equivalent of $264 USD. I fail to understand just how Xiaomi's Mi Max Series is a sales success. The phone (if you call it a 'phone') is just too unwieldy and chunky (5,000mAh battery inside) to be used as a daily driver. Now, I understand that people use it as a mini-tablet of sorts but that begs the question: "Why not just get a mini-tablet instead"? Anyhow, a 2:1 7" display would be too awful tall. 6.5 Inches would have made more sense. Oh well, G'Day! "I fail to understand just how Xiaomi's Mi Max Series is a sales success. " 1) Big Screen 2) Big Battery 3) Affordable 4) Reputable brand Any further questions? "Why not just get a mini-tablet instead"? Frankly speaking, because Apple doesn't make mini tablets anymore and Android tablets are a complete waste of money if you want "tablet apps" or any semblance of software updates. They're definitely getting as reputable as your beloved Apple, not so much due to their own respect of customers but more because Apple is doing their best to give the worst costumer experience they can imagine. Regarding your 2008 style whining about non-adaptive apps on tablets... 2008 called and wondered if your slow jokes are caused by your iPhone is getting too old and throttled? I don't like huge phones, but that doesn't mean people don't want it. Most tablets have no phone feature which What's App is required for installation. You can sideload the apk and when setting up request a call. Even if your sim is in a phone. Enter the code and you have WhatsApp on your tablet. I usually use a different sim for WhatsApp so I know this. I hope it comes with all the u.s. lte bands. Even with smallest bezels, 7 Inch screen is too big from any perspective for a phone .. Smaller bezels with screen same size (6.44 Inch) as previous model would really make sense .. It might be just as big as Zenfone 3 Ultra. I wish all flagship phones, from Samsung S9 to LG G7 would have a minimum 3600 mAh Battery So i can go a full day without charging. You can definitely go a full day on a single charge with a 3000mAh battery. No, they don't. I have an E4 Plus and I can get 4 days easy on it, almost 5.